M. A. Wan Mohd Khalik, W., P. Abdullah, M., F. Al-Qaim, F. (2015). Chemometric Application on Surface River Water Quality: A Case Study of Linggi River, Malaysia. 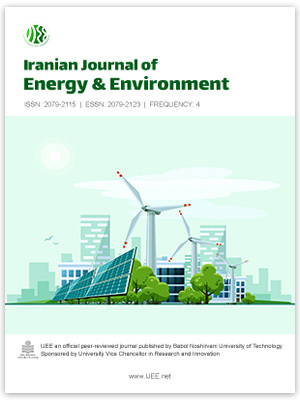 Iranian Journal of Energy and Environment; previously called: Iranica Journal of Energy & Environment, 6(1), -. W. M. A. Wan Mohd Khalik; M. P. Abdullah; F. F. Al-Qaim. "Chemometric Application on Surface River Water Quality: A Case Study of Linggi River, Malaysia". Iranian Journal of Energy and Environment; previously called: Iranica Journal of Energy & Environment, 6, 1, 2015, -. M. A. Wan Mohd Khalik, W., P. Abdullah, M., F. Al-Qaim, F. (2015). 'Chemometric Application on Surface River Water Quality: A Case Study of Linggi River, Malaysia', Iranian Journal of Energy and Environment; previously called: Iranica Journal of Energy & Environment, 6(1), pp. -. M. A. Wan Mohd Khalik, W., P. Abdullah, M., F. Al-Qaim, F. Chemometric Application on Surface River Water Quality: A Case Study of Linggi River, Malaysia. Iranian Journal of Energy and Environment; previously called: Iranica Journal of Energy & Environment, 2015; 6(1): -.